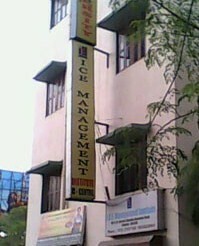 ICE Management Institute has been established with the primary objective of providing higher education at International standard to build future leaders in Management and Information Technology at affordable prices. The Institute has employed highly experienced and professionally well qualified young faculty members with background from Industries and education who are dynamic and possess management skills as a trainer. ICEMI graduates find placement in the FMCG, IT Companies, Hospitality Industry, BPO Sector, Banking and Financial Industries and different allied sectors of Service and Entertainment Industry. Quality education and infrastructure at ICEMI have been highly acclaimed and appreciated by UGC through Bharathiar University. The courses presently run by the Institute are MBA, BBA, B.Sc in Catering Science and Hotel Management, Diploma in Retail Management and few other Diploma and PG Diploma programmes. At ICEMI, our only motto is 'Building Leaders of Tomorrow with Values and Vision' through well structured programmes that inspire students to transcend from the serene world of academics to the vibrant world of Industry. Our vision is to produce leaders of integrity through internationally comparable higher education, and build a community of true management thinkers & IT professionals whose passion shall be deeply entrenched and firmly rooted in the Indian soil, committed to societal needs and national development. ICEMI is committed to develop professional skills and sharpen the ability of young aspirants to become better managers, better citizens and better human beings so that they can outperform themselves with their global vision and skills of international competence. ICEMI exists to impart and inculcate managerial skills and to set targets to extract core potentials and shape the young aspirants by the unique combination of academic excellence and multifaceted industrial exposure to keep up the right pace with the changing socio-economic scenario.